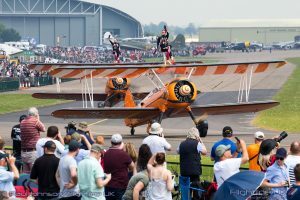 AIRSHOW NEWS: AeroSuperBatics Wingwalking Team have an amazing high flying vacancy for a Wingwalker! Have you been lucky enough to see the AeroSuperBatics Wingwalkers perform at the European and/or International airshows this year? 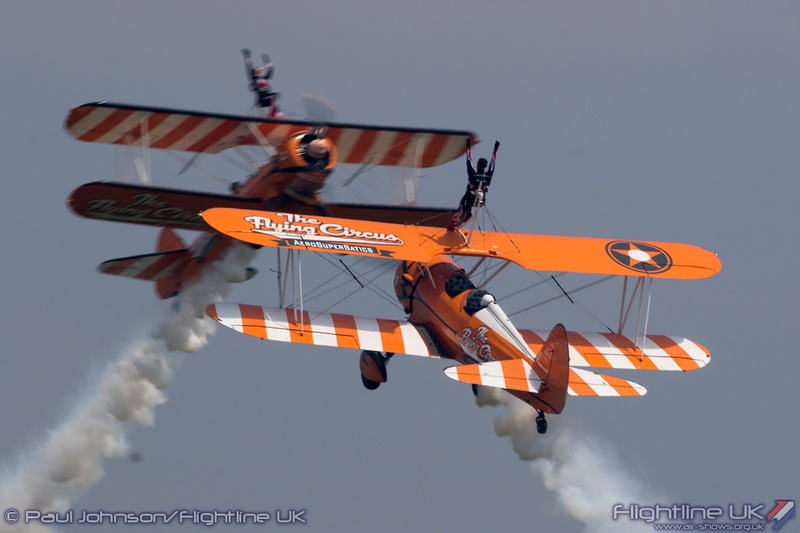 Do you wish it was you performing at speeds of 130mph on the wing of the biplane at 1,000ft? The Gloucestershire based display team perform at over 80 events each year throughout Europe and beyond, and have also displayed in Japan, India, Dubai, Australia and China. 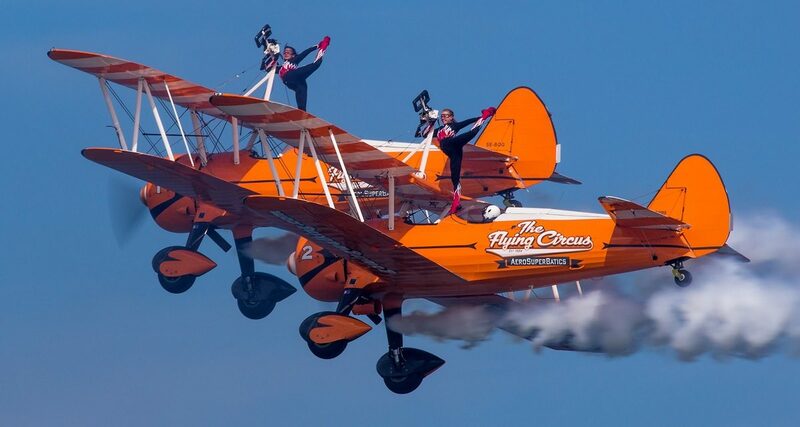 This is an exciting, yet challenging role, as the art of wingwalking involves climbing around an aircraft in flight and performing gymnastic moves on the wing as they loop above thousands of spectators looking up in awe. 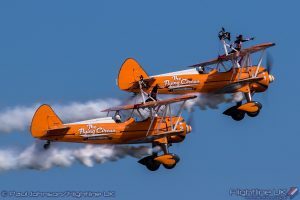 This unique job involves travelling and performing all over the world and assisting with events and club days at their private airfield as well as various other duties at the onsite. An enthusiastic, hard-working team player is sought for this amazing role. A background in dance and fitness is ideal to perform against the immense wind pressure experienced when flying at speeds of up to 130mph, as is the ability to continue smiling at the crowd when it starts raining! 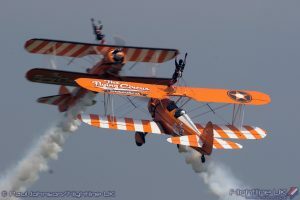 The successful candidate will receive full training in the art of wingwalking, so no previous wingwalking experience is required. Your full time contract will commence from April 2019 to end September 2019, working 6 days a week throughout this period. 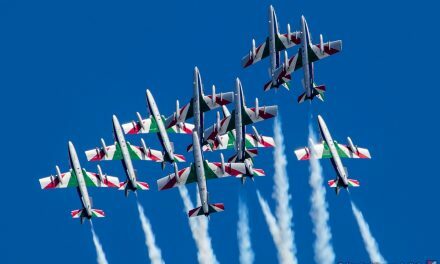 During the winter months you may be called upon to perform at international airshows. Please email a CV, photograph and covering letter explaining why you would make a great Wingwalker along with height and weight details to [email protected].